We are at the edge of Pangong Tso in the outer reaches of Ladakh at a height of about 4,350 m above seal level. The colors of Pangong lake change dramatically from a vivid blue to aqua green depending on the angle of the Sun. The beautiful lake is shared between the countries of Tibet and India. 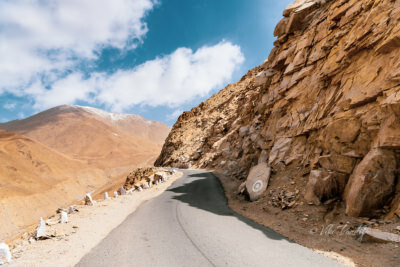 The drive from Leh to Nubra Valley goes through Khardungla Pass, said to be one of the highest motorable road in the world. Goes without saying the view was just mesmerising as we motored along the golden mountains towards snow capped peaks. 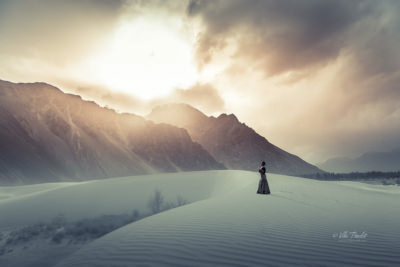 I’ve always had this desire to travel the world – but nothing beats exploring your own country. 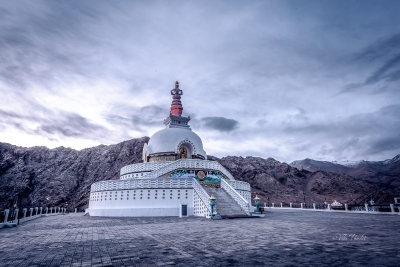 We hiked to the Shanti Stupa, one of the iconic structures in Leh. Located at a height of almost 12000 ft – overlooking the city, it was commissioned in 1991 by Japanese Buddhist, Gyomyo Nakamura with the aim to promote world peace. The stupa is always surrounded by enthusiastic tourists and its next to impossible to take a photo without one.